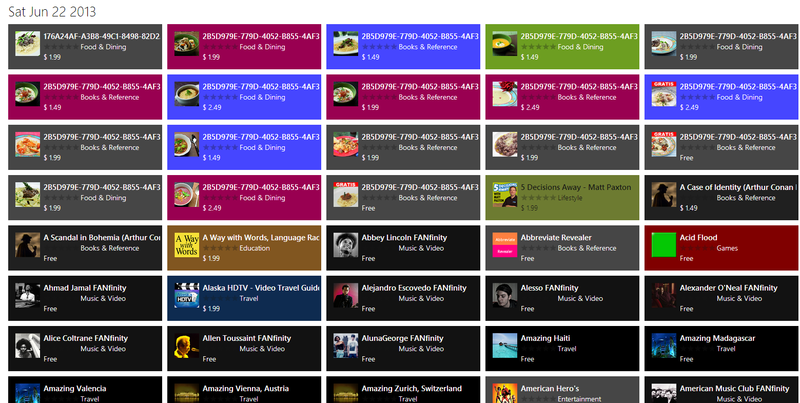 Has Windows 8.1 revived Windows app development? In late March, the first builds of Windows 8.1 leaked to the Web. At about the same time, the number of Windows 8 apps reversed several months of slowing growth and charted four straight months of app increases. It’s certainly possible. And yet, the slowing of Windows 8 development reversed course right around the time when Microsoft needed it most—when the Win 8.1 build was released. 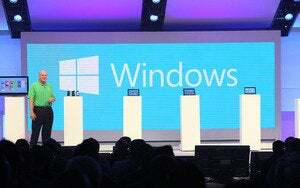 That trend is good news for Microsoft as it prepares for its Build 2013 developer conference on Wednesday, when the company will unveil the first preview of Windows 8.1. Windows 8 development started off strongly following the launch of Windows 8 in October—20,000 apps were launched in a month, followed by 15,000 the next—all apparent signs that developers were continuing the trend of Windows development and pumping out apps to the Windows Store. But, following the holidays, app development slowed to a trickle: just 3643 apps were added, according to MetroStore Scanner, which tracks the app development for the Windows 8 platform. In the MetroStore Scanner chart shown below, the gray line tracks the absolute growth of the number of apps. The vertical bars track the rolling average number of apps added per month, broken down by the new apps, in blue, and the updated apps, in green. So, the data below from MetroStore Scanner shows that the number of apps slowed down in January and February and picked back up in March. By then, however, the reputation of Windows 8 had taken a serious hit. Customers had begun turning up their noses at Windows 8’s unfamiliar interface, and its initial bloom from corporate licenses was withering. To be fair, the first rumors of Windows Blue—a sweeping revamp not just of Windows 8, but of Windows Phone as well—first leaked out at the end of 2012. But the rumors began to catch fire in February and March when reports began putting a fine point on what Blue could offer. And then, in late March, we had the first concrete details of Windows Blue, from the first leak of the OS. At that point, the drop in the average number of monthly apps changed course and began rising again. As of this writing, the total number of apps within the Windows Store stands at 94,298, after months of increasing growth. Microsoft’s goal with Build 2013 is to keep the app momentum going. While some of the features of Windows 8.1—better apps organization, a boot-to-desktop mode, as well as a shortcut to the Start page from the Desktop—are an apology to the user, Build is designed to improve Microsoft’s stature among developers. This is important, because developers who code for Microsoft’s Windows Phone and Windows 8-powered Surface tablets can leverage code written for each platform. But they still don’t necessarily create “one continuous Microsoft experience,” said Forrester analyst Frank Gillett last week. Compare that with, say, the Apple iPad and iPhone, which share a common code base and therefore a continuum of apps. With that said, the transition to the next iteration of the Windows 8 OS can make a significant difference. Build 2013’s goal? Make this real estate the most coveted spot on the Internet. Kaitila, who has said he has, to date, released ten freeware games on Windows 8, has also authored the Ludus platform game development kit for WIndows 8, allowing others to follow in his footsteps. 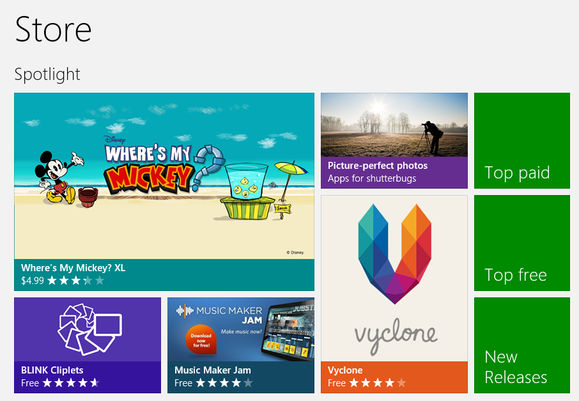 Nevertheless, Kaitila said that Microsoft has stepped up with better tools for app developers. In an infamous statement, Keith Lorizio, Microsoft's vice president of sales at Microsoft Advertising, said that the Windows Store would attract 100,000 apps in three months. Microsoft is now on pace to hit that milestone, but in nine months, not three. Ironically, the recent surge in apps may have hurt at least one app developer—Jeremiah Stoddard, whose Morse code app, CW Coach, was authored for Windows 8 precisely because the OS isn’t popular.